Re-Watchterpiece Theater is a series that explores the organic way that attitudes about films change after you watch them a second time, a third time, or more, further down the line than the original viewing. Webster University here in St. Louis has a film series that includes something that they call “Strange Brew”. They draw all of the curtains in the tasting room at the Schlafly Brewery’s Maplewood location, The Bottleworks, and they show non-new release films on a big screen. Typically, they fall on the cult side of things. Viewers can enjoy the Bottleworks’ menu and their incredible beers, all while taking in a great film. 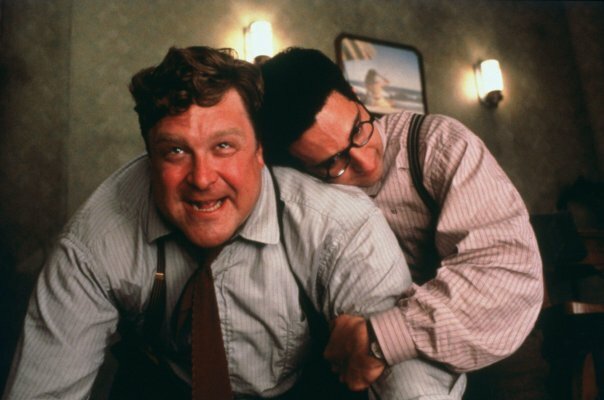 Last week, their selection was the tremendous 1991 film from the Coen brothers, Barton Fink. It’s a film that I’ve grown to love through the years but my appreciation for it keeps growing. Here’s my experience with the re-watch. Spoilers follow. This perplexed me a bit the first time. 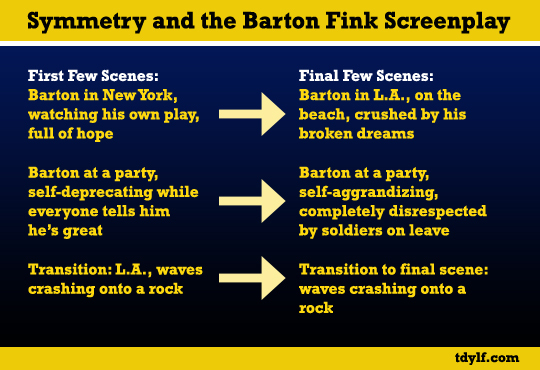 My first viewing of Barton Fink came in 2005, when I was just starting to embrace movies. I had seen and loved a strong core of Coen films and decided that I should see all of their movies. As with any Coen film, I enjoyed the quirky characters and dialogue in Fink, but the ending bugged me. 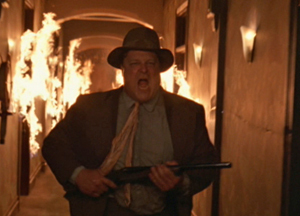 After the entire set-up, the movie wrapped up with Charlie Meadows (John Goodman) being outed as “Mad Man” Mundt just before he furthered his killing spree and burnt down the hotel. Then Barton (John Turturro) went off to the beach with the head in the box in a scene that recalled the painting on his hotel room’s wall. It seemed so abrupt to me, and it struck me as an odd turn for Charlie. Basically… I didn’t get it. I watched it a second time two years ago and it started to really click into place. I knew there was something funny and symbolic going on with the wallpaper, and that Charlie was possibly (probably?) the devil. Then I read this article and my appreciation for the movie went through the roof. I stashed what I’d learned from that article aside and waited patiently for the next viewing without rushing into it. Last week gave me my opening, and on the big screen no less. One aspect that was different for me this time is that I’ve started watching a lot of Preston Sturges movies. And as such, Sturges and Coen films have a symbiotic relationship for me–I love both of their films more because the Coens so clearly loved Sturges, and Sturges’ style lends itself so well to the Coens. It’s true in buckets in Fink. Barton himself is a screwball version of John L. Sullivan from Sullivan’s Travels–a writer with some acclaim desperately seeking, and failing miserably, to understand the plight of the common man. Both ultimately end up accused of crimes they didn’t commit. The ancillary characters–Lipnick, Geisler, Lou Breeze, the two detectives at the end of the film–all employ Sturges’ trademark rapid-fire comedic overlapping dialogue. W.P. Mayhew’s lover, Audrey Taylor (Judy Davis), is an icon of female strength (ghostwriting so well for Mayhew that he becomes a rock star writer) amid a sea of male incompetence, another Sturges trope. Sweaty? Rosy red cheeks? What could this mean?!?! Meadows’ turn as the devil is completely obvious once you know to look for it. There are signs all over the place. As the article I linked points out, he’s always sweating. He literally repels liquid. He’s almost always shown ruddy-cheeked, a fact that the Coens emphasize with a handful of closeups. He lets Barton know that he’s a wrestler in the amusing and memorable scene in which he slams Barton to the hotel floor. Later in the film, Barton is told to screen wrestling movie dailies because he’s having trouble writing his own wrestling script. So he sits in a darkened theater, just as his life is spinning out of control, and sees take after take of the same scene from the same movie. The name of the fictional wrestling movie is “Devil on the Canvas”. The devil is a wrestler; Charlie Meadows is a wrestler. Barton’s deal with the devil, so to speak, is to give up his successful New York playwriting career for Hollywood and an attempt to write for the common man, who he clumsily feels is embodied by Meadows. One of the ways that the Coens illustrate Meadows and Barton as polar opposites is the use of heat and water. Meadows is heat. Barton is water. Mayhew refers to Barton as “dripping” the first time he meets him. It’s why the wallpaper peels constantly. It’s why there are mosquitoes all over Barton’s room despite the fact that L.A. is a desert, as Geisler poignantly points out. The combination of their personalities, heat and water, creates the humidity needed for those things to happen. Other characters get into the act, as well. Mayhew says “It’s when I can’t write I can’t escape myself, I want to rip my head off and run screaming down the street with my balls in a fruit pickers pail”. Lou Breeze says “Right now, the contents of your head are the property of Capitol Pictures”. There’s a similar dose of symmetry between the beginning and end, with Barton’s arrival at the Earle visually displayed with a slow pan down the long hallway. The mirror is a similar slow pan in the opposite direction in the hallway just before the hotel is set ablaze. Speaking of which, the fire scene is really potent stuff. Barton’s world is crumbling before him, hell come to life, all because–as Meadows/Mundt yells to Barton–”YOU DON’T LISTEN”. The Coens will show you the life of the mind!!! The whole movie is put together in a really fascinating way, even wrapped up with a pretty little bow in the form of the beach girl from the painting in Barton’s room. The best lesson I’ve learned from this movie, or at least the lesson that I had re-emphasized, is that truly good movies have dense layers that allow you to dig deeper for added enjoyment. Fink qualifies. Great review. I’ve seen Barton Fink a bunch of times (though not in about five years) and you brought up so many interesting points I had thought of before. I gotta rewatch this. It really makes me want to re-visit Hudsucker. I doubt I’d find as many layers, but I’m sure I’d find Sturges stuff all over the place. The plot alone is in the ballpark of Christmas in July. Great review, great movie, and Fink may not even be in my top 5 Coen Brother’s movies. You are absolutely right, they work on so many levels. Seeing stuff like I saw in Fink really makes me wonder if their other films aren’t as packed and layered as Fink. I’m sure at least a few of them are. 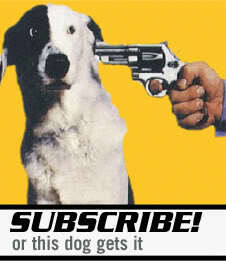 I already have a deep appreciation for the Coen Brothers’ films. I always regarded Barton Fink as good but not their top tier. Great review. Like you, upon first viewing I enjoyed it but didn’t catch all of the symbolism going on. I have to rewatch it. It’s gone from bottom to near the top for me in a handful of viewings. I’m still not sure it’s THE top, but it’d be one of the few I’d put in there for consideration.